Today, extreme weather events such as coastal floods, wildfires, intense precipitation (snow and rain), heat waves, and droughts are becoming more frequent and severe in some regions. Sea level rise is already worsening coastal floods, and other extreme weather events are likely to become more severe as the planet continues to warm. 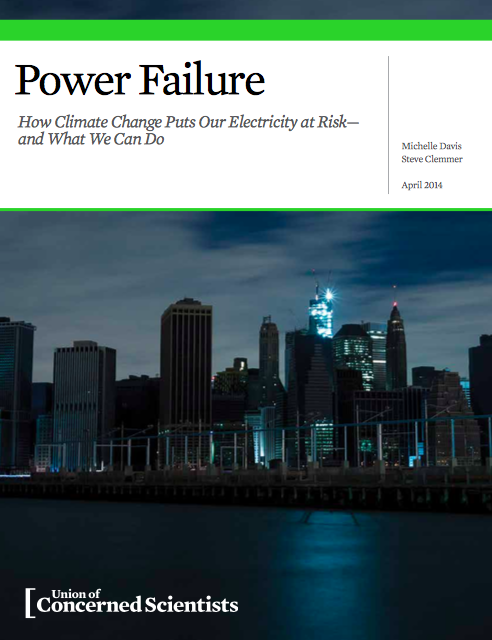 Building power plants and electricity infrastructure in areas prone to climate-related threats adds to those growing risks. To ensure a reliable and affordable power supply for decades to come, the electricity sector needs to become more resilient in the face of the changes we are already experiencing, and also adapt to growing risks. Our energy choices are an important part of the solution: energy efficiency and renewable energy can diversify our electricity system and make it more resilient. But there is more to the picture. By investing in those options, we can also dramatically cut carbon emissions, helping to curb further climate change. That is, smart energy choices will create an electricity system that is more resilient in the face of changes we are confronting today while reducing the long-term damage and costs linked to global warming.